All of my classes and workshops can be tailored to meet your needs or those of your organization. Please feel free to contact me to schedule your next class or workshop. I am available to share my knowledge and enthusiasm for acrylics and Golden products through lectures, demonstrations and workshops for schools, universities, art guilds, art associations, art centers, museums and art organizations including art retail outlets. 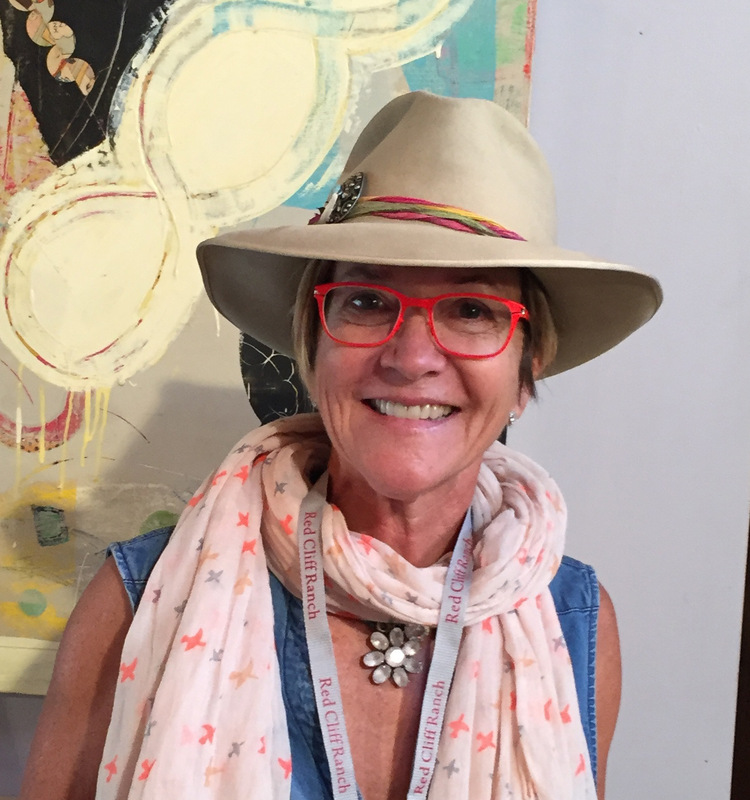 The studio now offers a variety of different workshops taught by Stacy as well as other visiting artists. 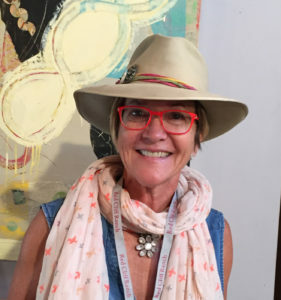 Monopriting, Oil and Cold Wax, Mixed Media and several Mini Workshops using Golden Acyrylic Paints and Mediums are just a few examples of what you will find here. Check back often—we are always adding new workshops to the menu! (2 HOURS) The Golden free lecture and demonstration is a fun and fast-paced informative educational presentation on acrylic paints and all the related products from mediums to gels and pastes! The lecture covers information about the different types of acrylic paint formulations, pigments, and their related viscosities, as well as color theory and color reality, drying time, and health & safety. Learn how acrylics can be used as grounds for other media, such as watercolor and colored pencil or pastels and so much more. The lecture will also cover a technical review of acrylics and their varied application possibilities. Various acrylic products and techniques will be demonstrated to enrich your understanding of the medium, among these you will learn basic tips for how to extend paint to save money and how to mix paints with gels and pastes to create exciting textures. From traditional painting to contemporary and on to mixed media, acrylics are infinitely versatile. We will also review Golden’s newest products, including the QoR Watercolors, High Flow Acrylics and the OPEN Acrylics. We will also discuss Golden’s Williamsburg Handmade Oil paints. Discover the possibilities and become inspired with how these fabulous materials and fresh new insights can be added to your own creative process. All participants will receive a free information packet, hand-painted color charts and a bag of free Golden product samples to take home! A fast paced, fun workshop creating beautiful prints without a press! We’ll use Golden OPEN Acrylics on Gelli Plates to create realistic or abstract artistic visions. You’ll learn what makes OPEN so unique and why it is ideally suited for this printing method. Learn how to ink the plates, paint on the plates and of course printing from the plates and preserving them. 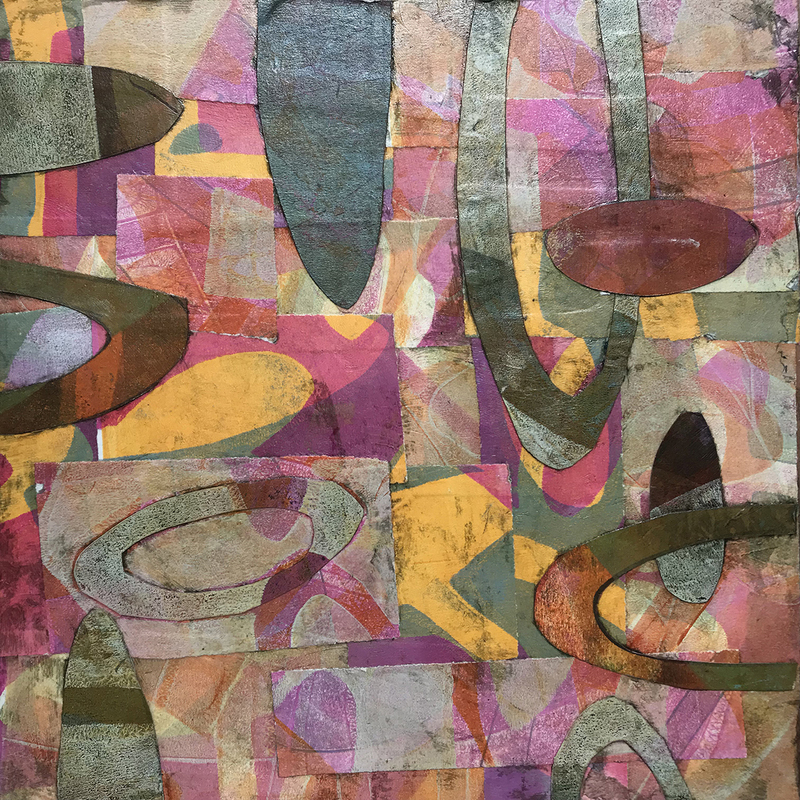 Monoprinting is a unique method of working in multiple images, incorporating the immediacy of painting with printmaking methods by repeating and reworking personal imagery and symbols. All levels welcome! Free literature and a free sample bag of Golden products! 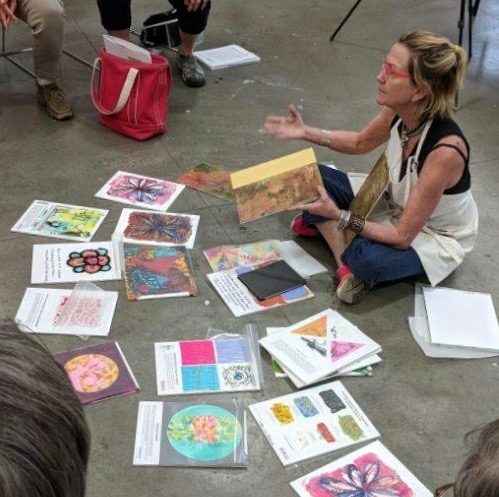 You’ll leave with lots of ideas and the potential of combining the various techniques and other methods of printmaking like an Intaglio Drypoint Etching print with a QoR Watercolor Print or a Drypoint print with a Gelli Plate print along with OPEN and so much more! This workshop is ideal for artists who love to draw and paint. 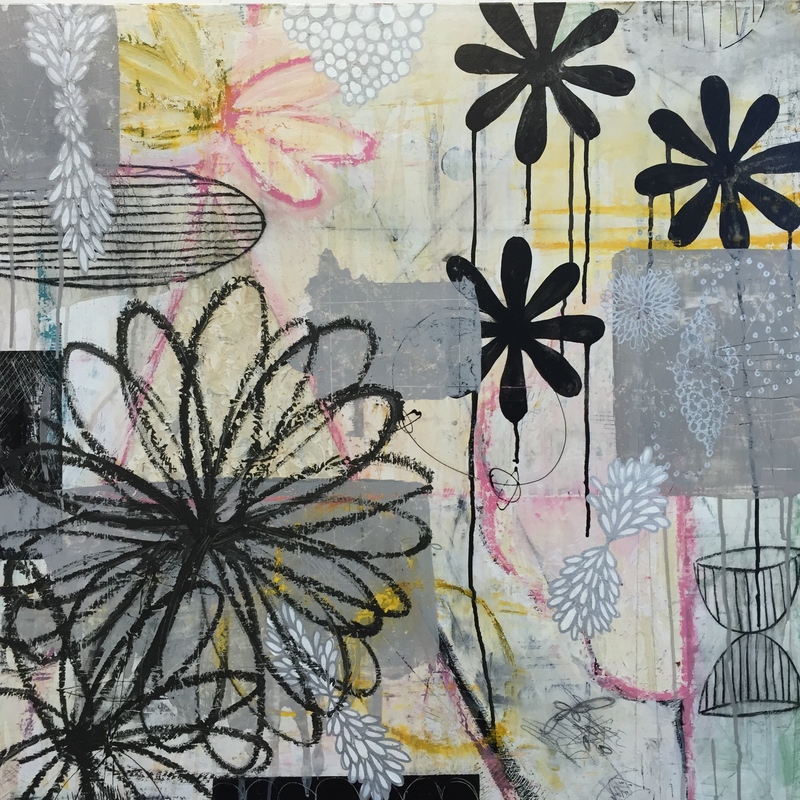 Monoprints incorporate draftsmanship and direct painting with printmaking. Artists who love to draw find freedom using these techniques, their color sense is expanded, and their drawing abilities can evolve to a higher level. 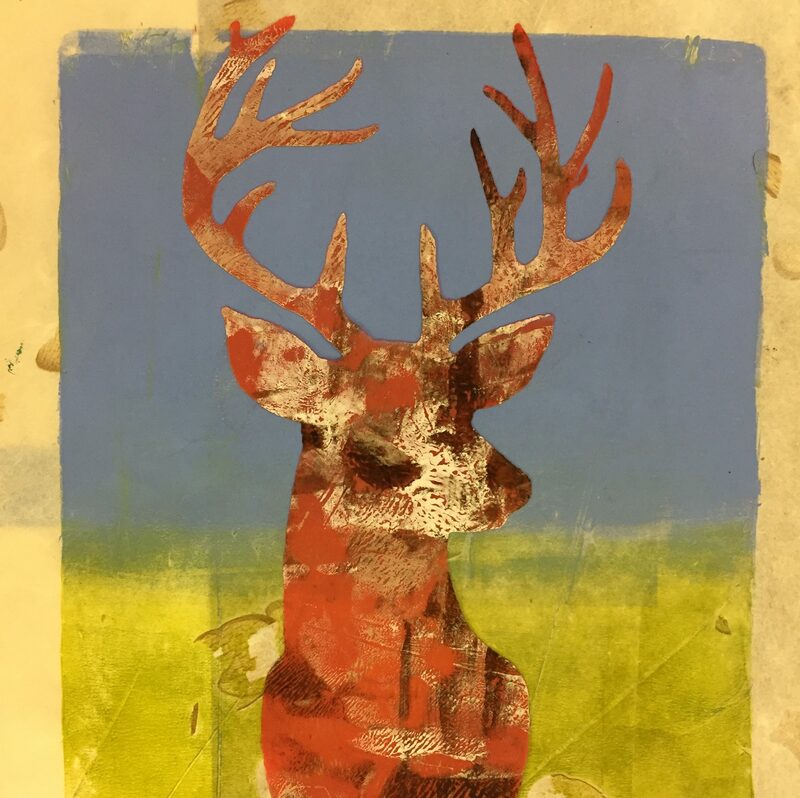 Participants will print and develop a variety of printed material during the first day that will be added to, collaged and re-developed during the second day of the workshop. 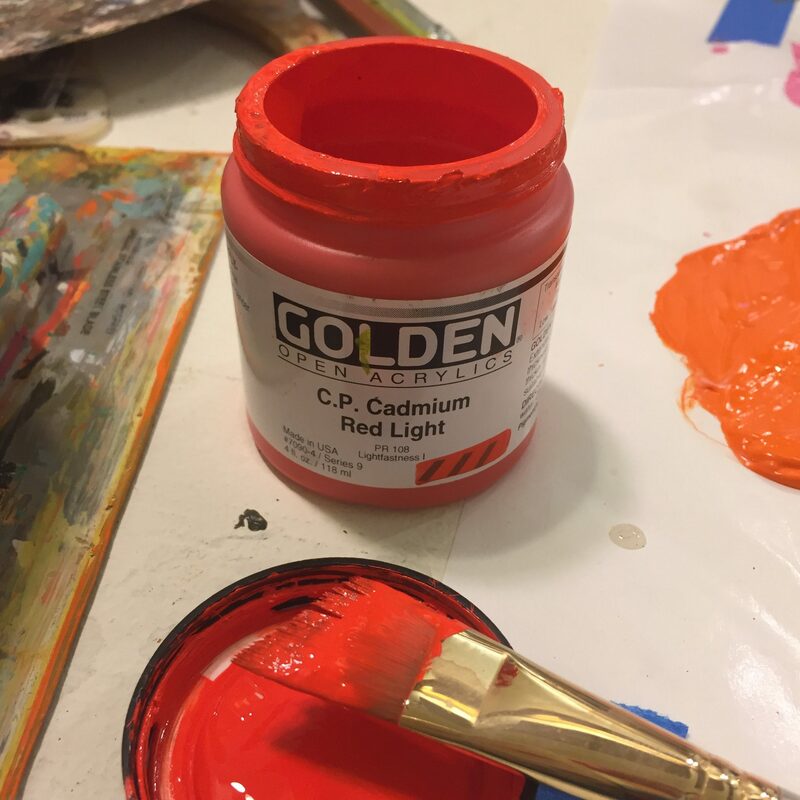 What to expect:On the first day, we’ll begin by experimenting with Golden’s OPEN Acrylic Paints on Gelli Plates to create monoprinted papers. We will explore several different mark making techniques and generate a plethora of prints to collage. On the second day, we will forage through our monoprints looking for color, pattern and texture to organize on a 12”x 12”wood substrate. Composing the loose monoprints, we will use Golden Mediums and Gels to create the final work of art. 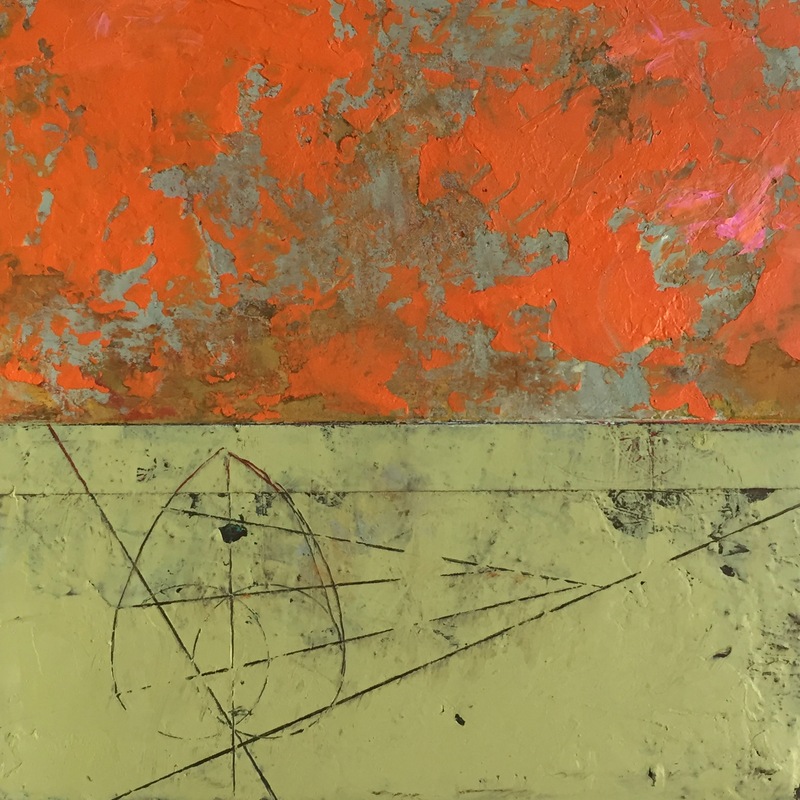 Artists in this workshop will explore the basics of the mixed media of Oil- Williamsburg Handmade Oil Paint, and Cold wax, powdered pigments, and other materials. We will create abstract layers through textures, lines and colored fields that we can then mine through developing our own personal palimpsest of the history of our own mark making. This rich medium helps generate a space for the artist to create intentional layers and discover the unintentional layers of abstraction. In three days we will cover plenty of information about technique, conversation on concept and composition, along with plenty of time to work. While some painting experience is preferred, the workshop is open to all levels. Students will create multiple works on paper and wood panels. Intuition is the ability to grasp something immediately, without conscious reasoning. Intention has an aim, a plan. The spaces between is where the delicate balance between intuition and intention – creating an individual flow of creative momentum. This space is not forced but cultivated. In this workshop we will explore our deep knowing. We begin by stilling the body through short meditations and guided imagery- gently nudging us to places that hold a deep reservoir of imagery. No experience necessary- just a curious mind. These workshops are any where from 2-4 hours long. The focus on will be on various techniques using Golden Paints: Heavy Body, Fluid, OPEN or High Flow, Mediums Gels and Pastes or QoR Watercolors. Please contact me for more information if you would like to host a mini workshop or check out my calendar to see what is already on my schedule.